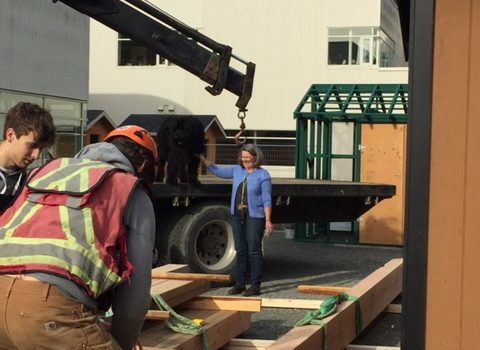 Construction of our pavillion in the community garden is underway! THE FKSS COMMUNITY GARDEN WOULD LOVE A DONATION OF YOUR TIME, ATTENTION, OR MONEY. 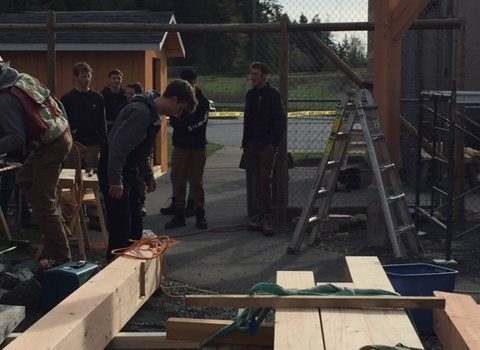 The Placemaking Leadership classes, our TASK students, the Gardening class, the Environmental Club, in conjunction with community partners Kinsol Timber, the Malahat Nation, and with expertise from O.U.R. Ecovillage, are working together. We have our district staff and trustees support. We are adding to what is becoming an amazing community garden. Under construction is the Thunderbird Pavilion. This pavilion is intended to offer shelter when we are working outside. It is a multi use space, for gardeners, our recycling program, and guests alike. 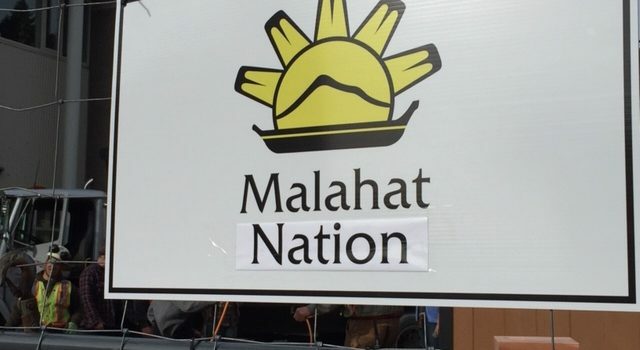 But it will also stand as homage to our respect to the lands we live on. It is one part of the bigger project of our garden. 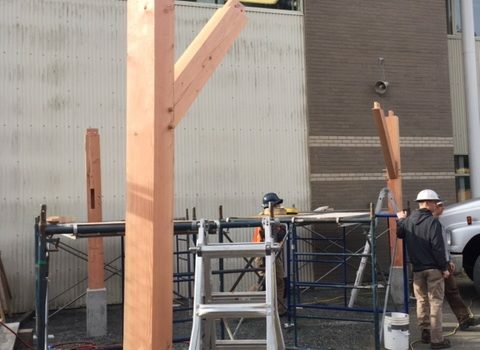 The footings are poured and next we will be raising the timbers supplied by our Malahat partners. Thanks to Kinsol Timber for the masterful engineering and planning. We are shaping this garden as a space for learning, and as a space our neighbors and community can walk through and enjoy. We intend to use its food and want to help others with what is grown. A cobb oven is currently being designed with help from some of our art students and will soon be under construction. A juicing bicycle is being discussed as a future addition. We are looking for help from our community to continue this awesome work, as there are many components and other supplies our students need. Are you able to donate or offer expertise in an area that would further our goals? We are happy to accept any donation, big or small. For financial donations, our office has a debit machine and we also accept cash or cheques made out to Kelsey Secondary Community Garden. Donations over $15.00 receive a tax receipt.